'Asher House', the Henry Asher Robbins estate built c. 1901 in Southampton. Robbins, a founder of the Waltham Watch Company, was in business with his brother Royel E. Robbins under the name Robbins & Brother. 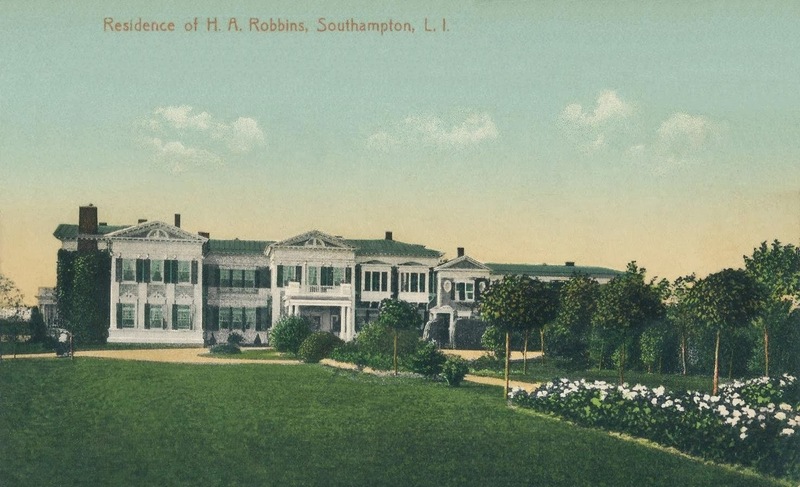 In 1911 he added six acres to the estate but by 1912 the property appears to have transferred to his son Harry Pelham Robbins and H.A. Robbins died in 1914. 'Asher House' was destroyed in the 1938 hurricane. 4. Dental tooth molding in the pediments. I wish I could remember who here made the observation that there is a difference between design & ornamentation. Yes, I wonder who it was who made that observation? Obviously someone terribly smart, keenly observant, devastatingly handsome, witty, and suave, nobler than mother Theresa,capable of solving world peace, and kind to dogs. Very. I like this house, but indeed, the architect didn't quite pull of his compositional idea. Doug, the term you're searching for is broken pediment. Broken Swan's neck pediment, to be exact. from wiki: In classical architecture a dentil (from Lat. dens, a tooth) is a small block used as a ... marbles, and the dentils were cut alternately on both sides of the moulding. This just jumps out to me and it probably doesn't help that I am on the way to the dentists' chair this afternoon! Damn! Spellcheck failed me again! Hope your dental visit went well. 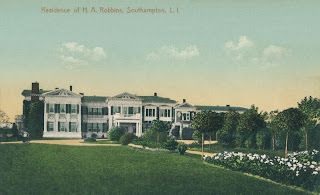 Pelham farm was Robbins' farm on Wickapogue Road. Robbins' summer cottage on South Main Street, pictured in your post, was called "Asher House." It was not demolished, it was destroyed in the 1938 hurricane. Hurricanes destroy homes. Get over it. Mother Nature doesnt care how many silver spoons you're born with.